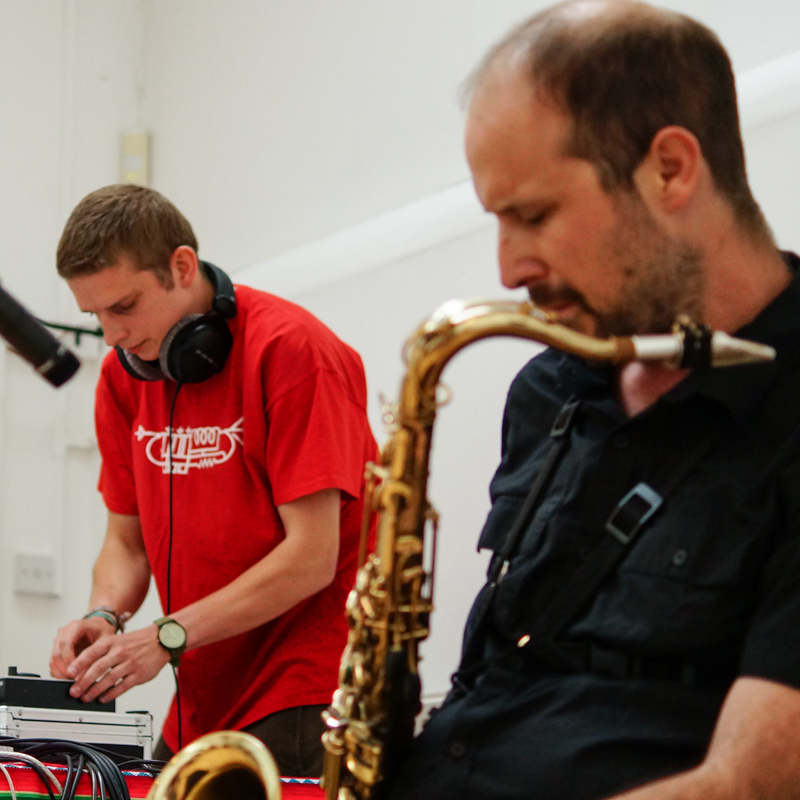 Rudnicki and Postle Electric Duo is a live act that explores interaction between trumpet (Matthew Postle) and live electronics (Radek Rudnicki). Electronic grooves combine hip- hop with techno/dub in an experimental manner. The trumpet interacts with electronics, aiming to contrast/duplicate the electronic timbre. Improvisations slowly develop in time into dense noise or fragmented pieces. None of the material is scored however each sound is carefully crafted. Visuals used in the show, expose how limited material can entertain and evolve, these produced during the concert range from clear to abstract images. Duo toured UK, Italy, Ireland and USA. Recently collaborated on data sonification with NASA and Stockholm Environment Institute, this resulted in performances at Dave Douglas’s FONT festival in NYC (2013). In 2012 performed as Jamey Aebersold’s guest artist at UNC Chapel Hill, USA. RPE Duo was featured in Create Digital Music, Matrixsyth, Shuffle Magazine and FONT among others.